Though the state of Rajasthan is an arid state yet you will find some splendid lakes here which add charm to the Rajasthan Tour Packages. The following are some beautiful lakes dotted all over the state. Situated on the eastern side of Banswara, the Anand Sagar Lake is also referred as Bai Talab as it was constructed by Lanchi Bai, wife of Maharaval Jagmal Singh. The Lake is popular for fulfilling the wishes of people due to being surrounded by the revered Kalpvriksha Trees. Near the lake are also scattered the tombs of bygone rulers. The Anasagar Lake is a scenic artificial lake located at heart of the city. Dating back to 12th century, the Anasaga Lake was constructed by Arniraja, the grandfather of famed ruler Prithviraja Chauhan. One can enjoy the beautiful scenes of Aravalis while boating in the Lake which is spread over an area of 13 kms. 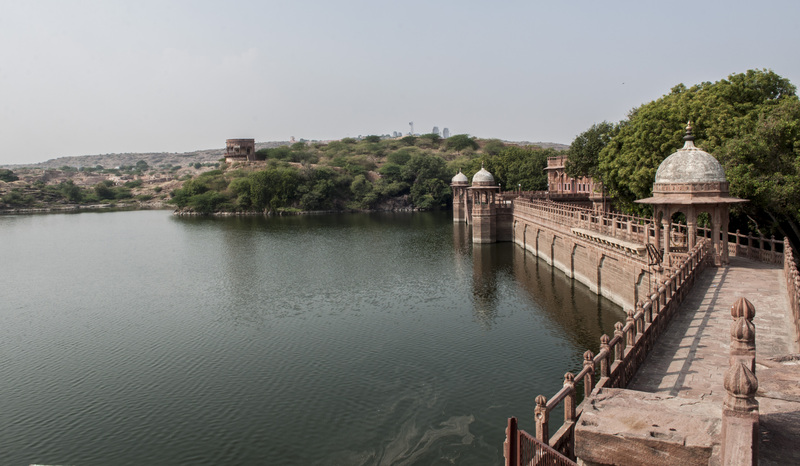 The Balsamand Lake situated on the Jodhpur- Mandore road was originally constructed to cater to the water needs of Mandore and surrounding area. The Lake Palace adorning the shores of lake was built by Maharaja Sur Singh ji way back in 13th century. Now a thriving spot for tourists, the Balsamand Lake is a place to indulge into calmness and serenity. Once a summer escape of former rulers, the Diablab Lake situated at a distance of mere 1 km from the district headquarters is a beauty to behold. The sprawling natural beauty of the lake is enhanced by the lotuses that cover half of the lake making it look all the more attractive. The residence of the former rulers is situated on its banks known as Badal mahal. Nestled between small hills, the Doodh Talai Lake is set in the heart of Udaipur, adjacent to Lake Picchola. The beauty of the Lake is enriched by Manikya Lal Verma Park that surrounds Doodh Talai. The lake even holds activities of camel and horse riding for tourists visiting the place. The Fateh Sagar Lake of Udaipur is one of the most beautiful Lakes of Rajasthan. Situated in the North-West of Udaipur region, this artificial lake was named after Maharana of Mewar, Fateh Singh. Popularized as the pride of Udaipur, the Fateh Sagar with its brimming waters and the backdrop of Aravalis hills is tourist hotspot of Udaipur who are even allowed to boat in the waters of the lake and enjoy the serene surroundings. The Gadisar Lake was contructed in the 14th century and is like an oasis in the Thar Desert. Surrounded by ornate temples and beautiful cenotaphs, the Gadisar lake is an important tourist attraction of the golden city Jaisalmer. Pichola is major attraction of the Lake city Udaipur. 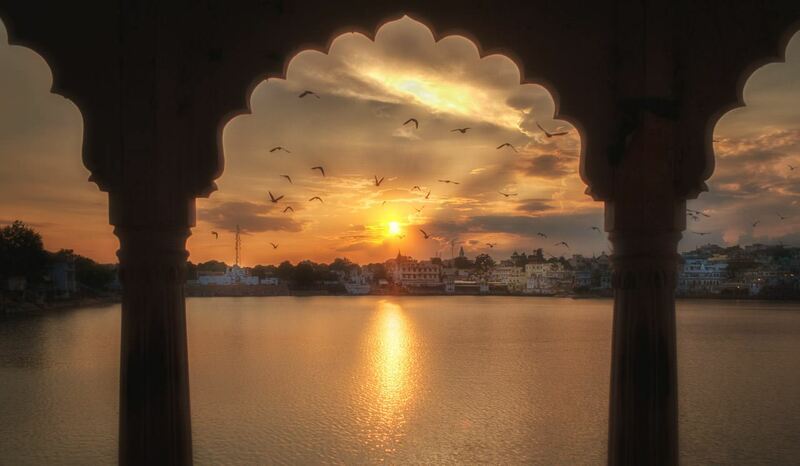 With its pristine waters and abundant scenic beauty, Lake Pichola is much popular amongst the tourists. The sunset views of the place are breathtaking when the water gleams of golden hues of the sun. The Lake also houses the islands of Jagniwas and Jagmandir which are other tourist attractions. The Pushkar Lake is known worldwide for its religious relevance. One of the major attractions of Pushkar, the Lake is said to rid people of their sins by taking a dip its holy waters. Thousands of pilgrims from across the country visit the place around the year. Situated amidst the forested hills, Siliserh is located 15 kms from Alwar. The tranquility of the place mesmerizes people and is adorned by cenotaphs set on its banks which enhances to the beauty of this calm place. Book Rajasthan holidays to discover the above water bodies in Rajasthan. You can also enjoy the Boat Ride at these lakes, located in the lap of nature.